PARIS: Frenchman Guillaume Faury takes over as CEO of European aerospace giant Airbus on Wednesday, looking to benefit from the current troubles of rival Boeing and limit potential disruption from Brexit and Donald Trump’s trade threats. The 51-year-old will replace Tom Enders, who is stepping down after five years leading the France-based group whose 129,000 employees manufacture airliners, helicopters and satellites. Enders oversaw further expansion of the group, but his rein was clouded by a recent decision to scrap the loss-making A380 super-jumbo range of Airbus planes as well as multiple probes into suspect payments. The German’s retirement package - worth 37 million euros (Dh151 million; $41 million) including pension and stocks - has sparked controversy in France and a pledge from the government that it will legislate to limit huge corporate payoffs. Analysts see Airbus as having an opportunity to profit from the booming airline market, particularly in Asia, and from the global grounding of Boeing’s 737 MAX plane after two recent deadly crashes involving the popular new airliner. “They simply need to use this window of Boeing weakness to hoover up orders in Asia, if they can,” said aerospace analyst Neil Wilson at Markets.com, an online financial trading platform. According to industry body IATA, Asia will account for most of growth in the industry over the next 20 years, with more than half of the new passenger traffic coming from the region. But Faury will also have several tricky issues in his inbox, including handling the fall-out from Britain’s decision to leave the European Union, which threatens to disrupt the company’s long and complicated supply chains. 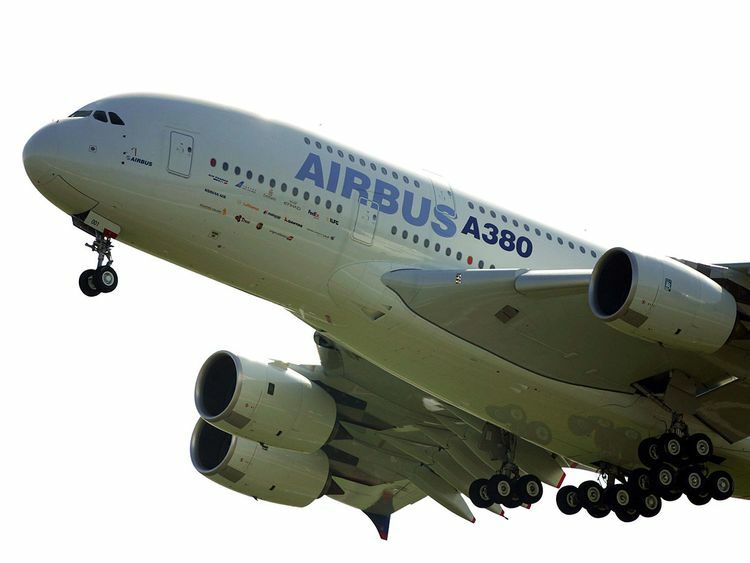 “Brexit could well mean a complete rethink of long-term manufacturing strategy for Airbus and brave decisions may need to be made unless a satisfactory outcome can be agreed by UK and Brussels,” independent aviation analyst Howard Wheeldon told AFP. Enders branded the British government’s handling of Brexit a “disgrace” in January and warned that a “no deal” exit would led to “very harmful decisions” affecting the production of airline wings in southwest England. The US is another source of worry for the group after US President Trump lashed out again at the EU this week, vowing to impose fresh tariffs over subsidies to Airbus. For more than a decade, Washington and Brussels have accused each other of unfairly subsidising Boeing and Airbus respectively and have fought repeated battles at the World Trade Organization, which polices global trade rules. Faury will also be wary of multiple investigations in France, Britain and the United States into possible bribes paid to win contracts between 2008 and 2013 that could cause more embarrassment - and lead to costly fines or prosecutions. The inquiries stem from Airbus’s own disclosure in early 2016 of undisclosed payments to middlemen in securing several contracts, in particular in Asia. If convicted in the US, it would effectively be shut out of defence and civil aviation contracts for years - which would be a boon for Boeing. Faury, a married father of three, will take over after a board meeting in Amsterdam on Wednesday. He has spent most of his career in the aerospace industry, specialising in helicopters. He started his career in the French defence ministry before joining Airbus’ helicopter division in 1998. In February 2018, he became head of the civil aviation division, the company’s biggest and most high-profile, which is considered the launching pad for the groups’ top job.